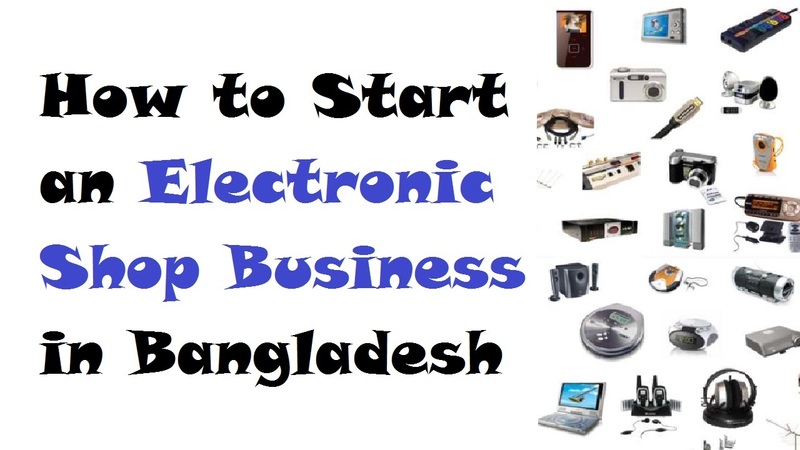 If you’re thinking about opening an electronic shop business in Bangladesh, we’re here to tell you what you need to know to get started. There are a lot of promises in the Bangladesh business landscape. The growing number of businesses being opened on a daily basis is the evidence of this. But, if you want to start a business in Bangladesh, you need a various preparation. You have to utilize so many time and physical and mental energy if you want to get an adequate planning for your business. It’s the content that will focus on the process of starting one of such businesses, for example, the business of selling electronics goods. And a variety of mechanical products and parts to consumers, including cell phones, televisions, computers, peripherals, and components come to sell in an electronic shop. It’s important to prepare yourself with information so that you won’t suffer the same fate as large electronic stores that failed if you plan to open an electronic shop business in Bangladesh. This is because there are so many challenges in this business. An electronics store startup would seem to be a slam dunk as it’s given the hunger today’s consumers have for all things digital and electronic. But, nothing could be farther from the truth in fact. Because of this, an electronic shop business in Bangladesh is a sophisticated and fickle industry with a higher-than-average failure rate for startups. What the main challenge is that the small electronics stores can’t compete with large online competitors on price or catalog. Moreover, many of the manufacturers are selling their products directly to the consumers. Essentially examine and understand the business models of existing electronics businesses before of starting an electronic shop business in Bangladesh. It includes not only average price markup charged on goods but strategies for customer satisfaction, and managing supplier relations also. Setting your own store policies and prices competitively, you need this information. Also, have a close look at the closed or failed electronics shops and compare with successfully running one. It’s imperative that you create a complete business plan due to the competitiveness and high risk of opening an electronics retail store. Also, the potential plan must focus on your competitive advantages. While planning for your electronic shop business, you must use the research you gather from examining case studies and business profiles. Moreover, you should include whether there are any of your own personal experience in electronics. If you have managed an electronics store, for example, you’ll have knowledge of the inner workings of this type of retail business. It’s considerably a wide range of business of the electronic dealership business. That’s why it’s utmost important to take this into consideration. And it’s important that you choose an area which is more agreeable to you to start an electronic business. On the other hand, you should choose a niche while you’re stating an electronic shop business. From PCs to cookers, there are several types of electronics. If you want to survive and success of your business, it’s crucial to select s niche. It means that choice is necessary when setting up your electronic business. While locating your business in an ideal location, the chances for success will greatly increase, this goes hand-in-hand with sales. This way, consider densely populated areas as possible locations when starting an electronic business. It has the potential of shooting you into the top league of electronic dealers if you do so. This is because bad locations never thrive any business. That’s why you might want to take this very seriously if you desire to see increased patronage and sales. Also, it’s not a problem to find a good location in Bangladesh as there are big towns and cities across the country. Raising funds should be a top concern in the planning stages because an electronic shop business requires a significant capital investment. So, you’ll need to put up money for various initial needs if you’ll be opening up a brick-and-mortar storefront. These include inventory, the store lease, store fixtures, storage space, advertisements and employee wages. Besides, you need to factor in website creation and maintenance for an online business. If you need funds apart from your personal capital, you can contact microfinance organizations of Bangladesh like Grameen Bank, BRACK, and even bank loans. You may want to pay serious attention to your competition after choosing a niche. In the electronic shop business, there are different types of competitors. That’s why you may face may face stiff competition from similar businesses when you’ll be in it. So, you may want to consider introducing innovative measures to outperform your competitors. In spite of it’s a great help, it’s not enough in itself. And it’ll significantly improve client patronage if you take a proper implementation of these measures. It’s the product warranty where you can focus and it’ll separate your business from the crowd. It requires the services of suppliers while starting an electronic shop business in Bangladesh. It doesn’t matter whether they’re wholesale suppliers or the electronic companies themselves. So, it’s important that the right choice be made whatever the situation. Moreover, it has a lot of advantages to deal directly with the manufacturing companies. Although dealing directly with the manufacturer requires substantial capital, there are good commission and other benefits.